Info: 2 Bedroom, 2 Bathroom, beachfront cond0, 1,100+/- s.f. Info: 3 Bedroom, 2 Bathroom, waterfront condo, 1,845+/- s.f. 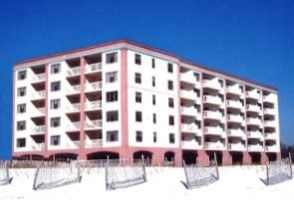 Gulf Shores Condo For Sale, Gulf Shores Surf & Racquet Club. This residence super spacious floor-plan is so uniquely awesome with a lot of wow factor! Expansive living area with serious panoramic gulf and lagoon views. Beautifully updated interior with tile throughout, granite kitchen counters and backsplash, all stainless appliances, high ceilings, wet bar w/50 lb. ice maker, wine cooler and beverage cooler.